When you are giving a Powerpoint presentation it can be helpful to give your audience a copy of the presentation, or some informational document, that can help them follow along. It can be difficult to remember large quantities of information, so you want them to have something to reference later. 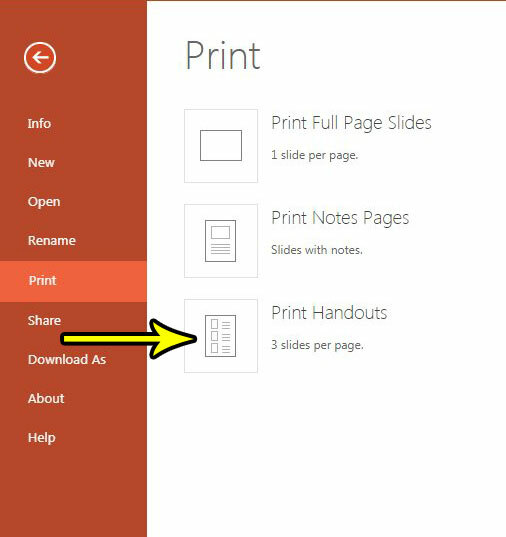 While there are several approaches you can take to create this information, Powerpoint Online has a feature that lets you print handouts. This is a form of your presentation where three slides are printed per page, along with any notes that you have included for the slides. 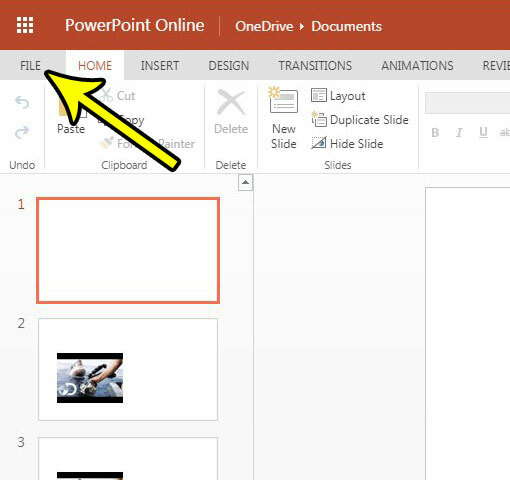 Our tutorial below will show you how to print handouts in Powerpoint Online. The steps in this article were performed in the desktop version of Google Chrome, but the same steps will also work for other desktop Web browsers like Firefox and Edge. Once you complete these steps you will have printed your presentation with three slides per page. Powerpoint calls this printing method “handouts” as they are intended to be something that you print for your audience so that they can follow along while you give your presentation. 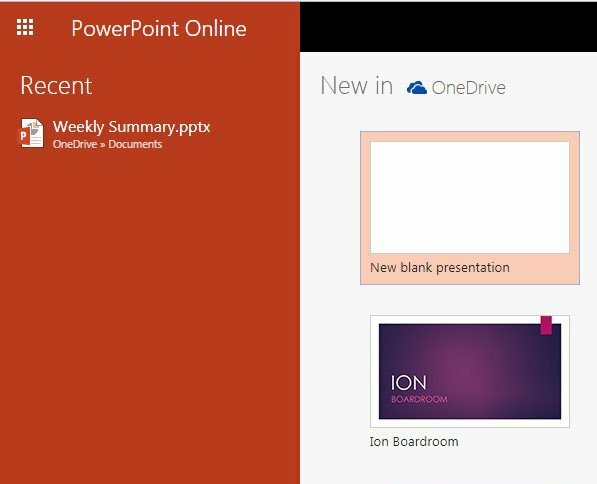 Step 1: Open Powerpoint Online at https://office.live.com/start/PowerPoint.aspx and sign into your Microsoft Account. Step 2: Open the presentation that you wish to print out. Step 3: Click the Edit presentation button, then choose Edit in Browser. Step 4: Click the File tab at the top-left of the window. Step 5: Choose the Print option in the column at the left of the window. Step 6: Select the Print Handouts option. 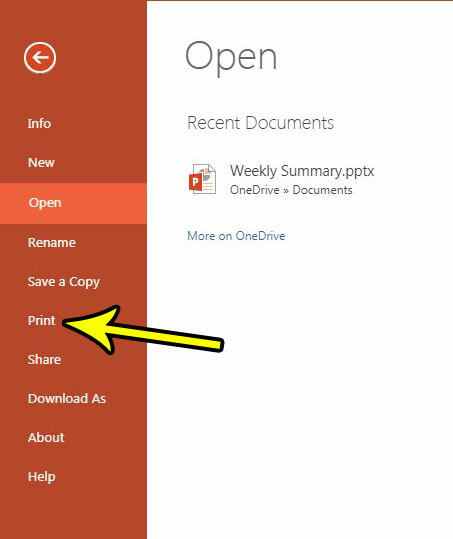 Step 7: Click the Print button in your browser to create the handouts. Depending on which browser you are using you should see a preview that will let you know what the handout printout will look like. Are you done editing your presentation and ready to see how it looks, or show it to your audience? 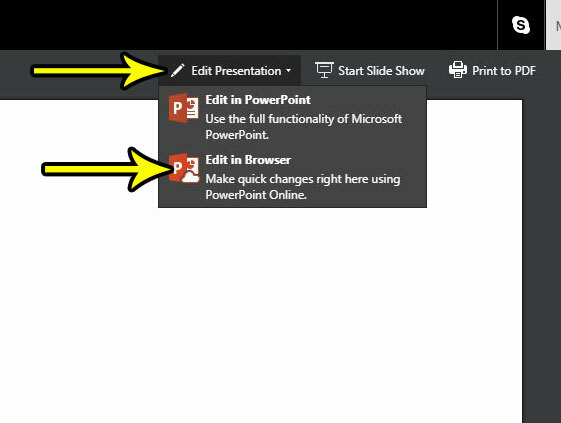 Find out how to play a presentation in Powerpoint Online so that the slideshow goes into full screen mode.